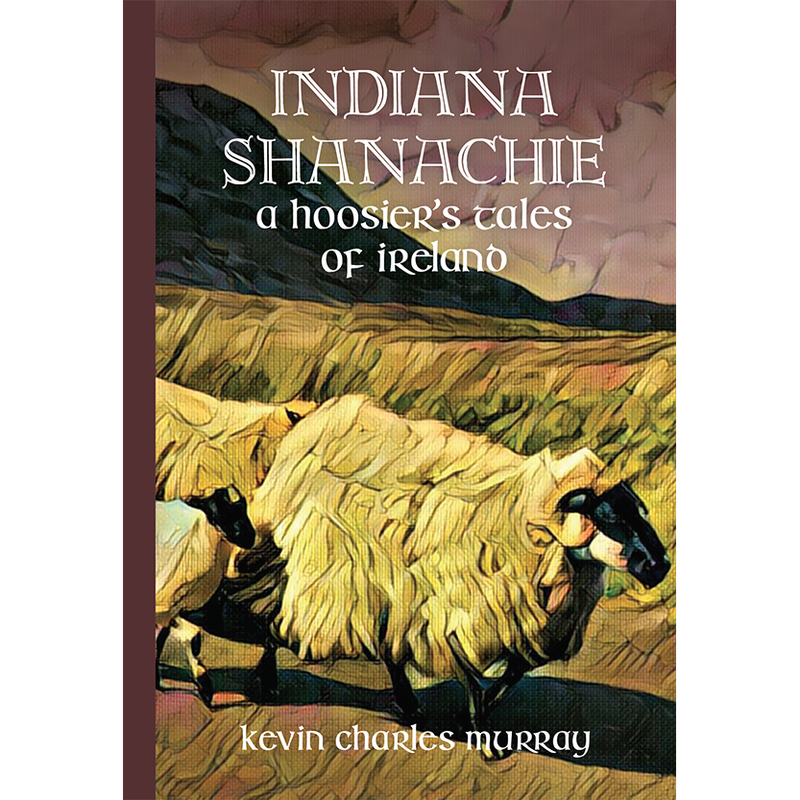 Indiana Shanachie, a Hoosier’s Tales of Ireland offers a Midwesterner’s unique peek into the people and places of County Donegal, Ireland. Isolated in the far northwest corner of Ireland, this very special place holds unbelievably beautiful scenery, as well as some of the finest people on the planet. The tales in this book describe personal visits ranging from 1980 to 2018, and cover topics as varied as undertaking and turf cutting, to old stone cottages and St. John’s Eve bonfires. The elusive genealogical quest described therein spans nearly four decades. During those remarkable years, much has changed in Ireland in general, and more specifically, in County Donegal. This book captures some of that magic period in the hope of preserving a bit of Irish history. That is the job of the Shanachie, and it will always continue. Kevin Charles Murray is the great-grandson of Irish immigrants from County Donegal, Ireland. A native of Eastside Indianapolis, Kevin is a graduate of St. Philip Neri School, Scecina Memorial High School, Indiana State University (BS), Indiana University School of Law – Indianapolis (JD), and Ball State University’s College of Architecture and Planning (MSHP). He has practiced law in Indianapolis for nearly forty years, formerly with Locke Reynolds, now with Frost Brown Todd. Kevin served as attorney to both the Senate and House of Representatives of the Indiana General Assembly, as well as Special Counsel to Governor Joe Kernan. He is active in Indiana Democratic politics, historic preservation, and the Indianapolis Irish community. Kevin was a co-founder of the Indianapolis Athletic Club’s St. Patrick’s Day Parade, past president of the Kevin Barry Division, Ancient Order of Hibernians, and legal counsel to the Indy Irishfest. His prior books include Sgt. A.F. “Kelly” Murray U.S.M.C. : A Hoosier Hibernian in the Great Pacific War, and THE 1ST FIGHTING IRISH: The 35th Indiana Volunteer Infantry, Hoosier Hibernians on the War for the Union. Kevin spends as much time as he can at his place in County Donegal, Creeslough Cottage, located in the remote and wild townland of Drumnacarry, east of the little village of Creeslough.